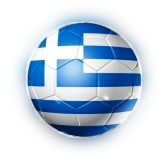 if you otherwise need to use Firefox PLEASE use the NEW Firefox special version that still supports"silverlight"
The best site on the net to enjoy LIVE Greek Tv Stations! Please remember that you have to become a fully paying subscribed member to enjoy the full potential and quality of our streams. Constant Access to the service for the streamed channels will be provided on a monthly payment basis. We do have a few free channels, but by becoming a paying subscriber you are guaranteed a priority slot and multiple ways to access our Great Greek content on top of the total free member. At the same time you help us pay for the necessary bandwidth. This is what keeps us going and allows us to add new stations from time to time. Stream Quality varies between 450k and 950k. No problem, join now for free. There is no charge for site membership. We have free links to great greek radio and internet movies. Δεν υπάρχει πρόβλημα, παρακολουθείστε τώρα δωρεάν. Δεν χρεώνεστε για την εγγραφή μέλους. Προσφέρουμε δωρεάν συνδέσεις σε σταθμούς και Ελληνικές ταινίες στο διαδύκτιο. Just click here to go to our Register Page and join! Απλά κάντε κλικ εδώ για να πάτε στη σελίδα Εγγραφής Μέλους και θα συνδεθείτε μαζι μας!